During the past weekend Jack Mason received the Shooters MMA affiliation plaque on behalf of BKK Fighters. 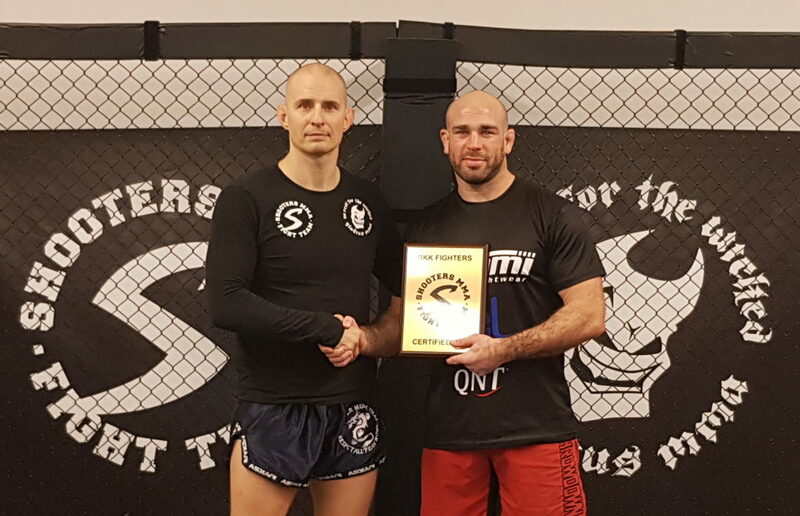 The plaque was presented by Shooters MMA’s chief instructor August Wallén during the Dutch Course at HQ the past weekend. BKK Fighters is situated in Chelmsford in England.